If you’re a fan of all things sweet, you can now bring home the freshly-baked glazed scent of Krispy Kreme without the sugar rush! 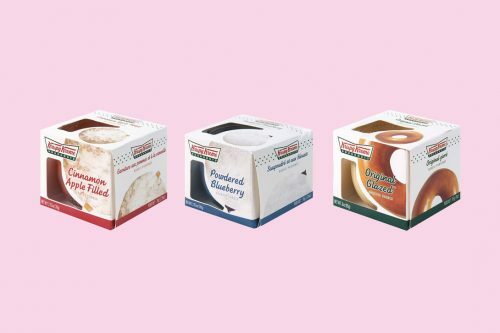 Available in three of Krispy Kreme’s most beloved flavours – cinnamon apple, powdered blueberry and original glazed, the donut-flavoured candles from Candle Traders will make your room smelling like a sugar-coated dream! Candle Traders only ships within UK, so sign up with us and pay only RM10/lb to get yours items shipped to any Malaysia address, no additional charges!